Oaxaca (pronounced wah-HAH-kah) is a culturally diverse and charmingly compact center of Zapotec and Mexican arts which many liken to Santa Fe, New Mexico. The capital city of the state of Oaxaca in southwestern Mexico, it is a safe and friendly town whose attractions should be shared by the whole family, particularly if Mexico and its many wonders are new to your kids. If you begin your explorations at the lively zocalo (main square), all ages will easily appreciate the town’s many historic churches and crafts shops. For more information on these and other sights, contact the Oaxaca Tourism Office, located in the Palacio Municipal at Independencia 607; 52/951/1-5040. 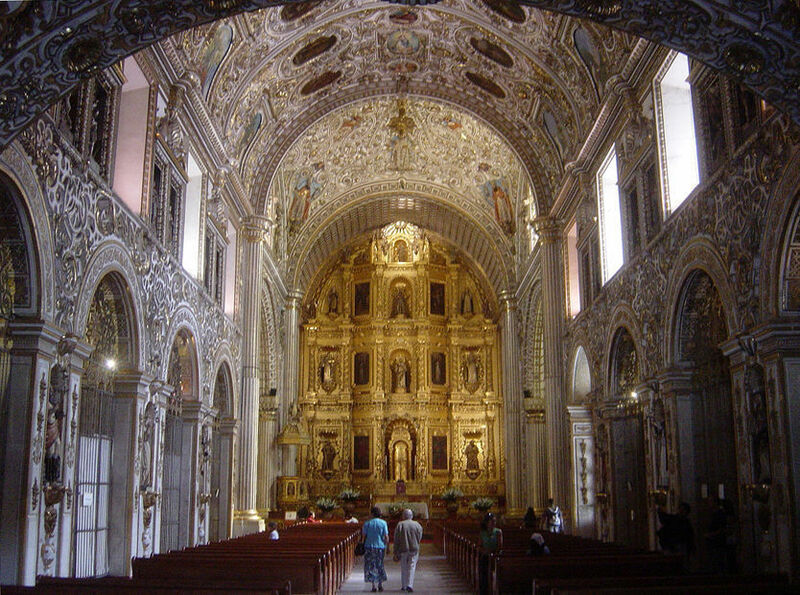 Allow at least two hours to inspect every nook and cranny of the 16th century Iglesia de Sto. Domingo de GuzmÃ¡n, the city’s finest. Within the confines of its enormous convent you’ll find the Museo de las Culturas (951/516-2991), filled with art and religious treasures, arms and armor, and incredible architectural detail. Across the street is EL IAGO, the graphics art institute, owned by renowned artist Francisco Toledo, where you can pause for a quick snack or ice cream. Early morning or dusk, before and after the local workday, are the best times to visit the grand Catedral, just off the Zocalo. Over the Christmas holidays, be sure to spend time studying the panoramic creche, with its depictions of the many farm animals of the region, and budget a little allowance to permit each family member to light a candle. Children especially will appreciate a leisurely stroll through the Rufino Tamayo Prehispanic Art Museum, a typical home built around a spacious, easy-to-frolic-in courtyard, which houses the artist’s own collection of superb pre-Columbian and early Mexican ceramics and folk art. The mask collection is a special treat. Avenida des las Turistas is the nickname given to a row of historic buildings which have been recently developed as the center city’s commercial strip of shops, galleries and restaurants. You’ll find some of the best crafts and carpet stores in town, and you’ll be near enough to the historic Camino Real Oaxaca (011-52/951/501-6100, 5 de Mayo Street 300, Oaxaca, Mexico, 68373-484), renovated from a classic monastery, to stop by for a drink around the pool. Many interesting villages offer satisfying half-day outings from the city. Most are with an hour’s drive, and can be reached by inexpensive taxis. Often, local drivers recommended by the hotels speak enough English to serve as ‘guides.’ However, the public buses, colorful and uncomfortable as they may be, are among the many cultural experiences Oaxaca offers visiting families. Spend a tiring but worthwhile day hiking up several pyramids at Monte Alban, one of the state’s two UNESCO World Heritage attractions. (The other is Mitla, another archeological site.) Monte Alban is a rather free-form archeological site where even kids can have fun. Hot spots are the gift shop with a good selection of art, archeology and history children’s books (English and Spanish) and the on-site museum, with glass-covered floor panels filled with bones and tomb offerings. It’s physically hot whenever you go, but there’s a mountain top cafe with views over Oaxaca Valley that make the trip worthwhile — even for old-stone haters. At the small village of TeotitlÃ¡n del Valle, men, women and children work at looms, weaving carpets of brightly colored wool. You’re pretty much on your own in terms of looking around, but you’ll find by poking in courtyards and residential windows that many at-home weavers are eager for you to come in and admire their craft. It’s depressing but very interesting to visit the village of Arrazola and spend time with the wood carving families. Despite living conditions which seem impoverished to American eyes, these craftspeople lovingly create alebrijes, the fantastical carved and painted animal sculptures that adorn the city. Ask your taxi driver to knock on the doors of the few noted folk artists who have achieved long term success with American collectors and decorators. 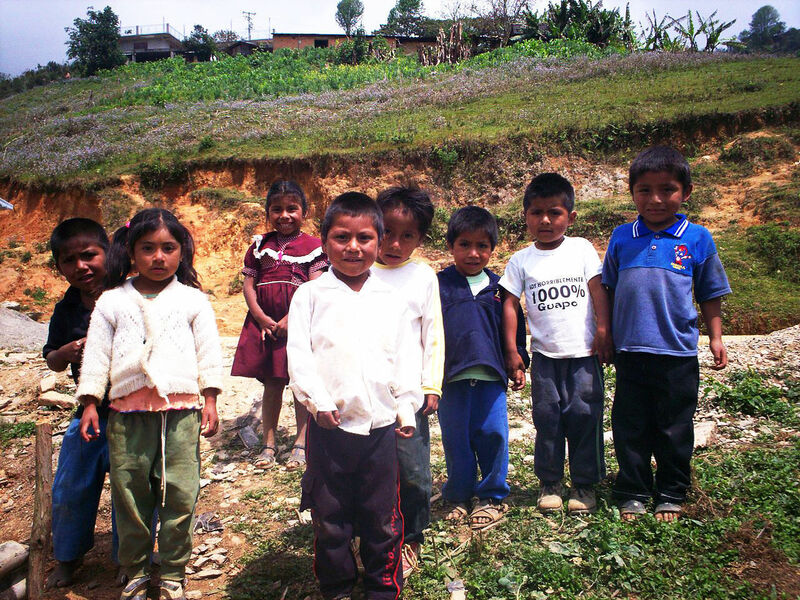 Dole out an allowance to each child for market day – very few pesos go a long way in Oaxaca! There’s literally one market town within an hour’s drive (or bus ride) of Oaxaca City every day of the week. We loved the action and the grilled chicken at Thursday’s Zaachila but each has its own flavor. Remember, your kids might bid on a new donkey! The state of Oaxaca has some of Mexico’s best sand beaches, on the Pacific coast at the towns of Huatulco and Puerto Escondido. Huatulco is the more developed of the two, with nearly 3,000 hotel rooms, a marina, resorts, shops and restaurants, but most of the coast hugging its famous Nine Bays is still pristine. Puerto Escondido appeals to surfers and a younger crowd, and is also quite popular. The only thing that has stood between this coast and Cancun-style development is the terrible road to get there.
? Don’t waste your time waiting to change money at a national bank. The rate differs so little from that of commercial money changers and lines are quite long.
? Bring a sink stopper and some powdered detergent if you’re traveling with children, or just enjoy rinsing out your own clothes. Laundry services are sporadic in the holiday periods.
? Personal packets of tissues and pre-moistened towelettes are very handy. Napkins can be scarce and public restrooms rarely have any paper products.